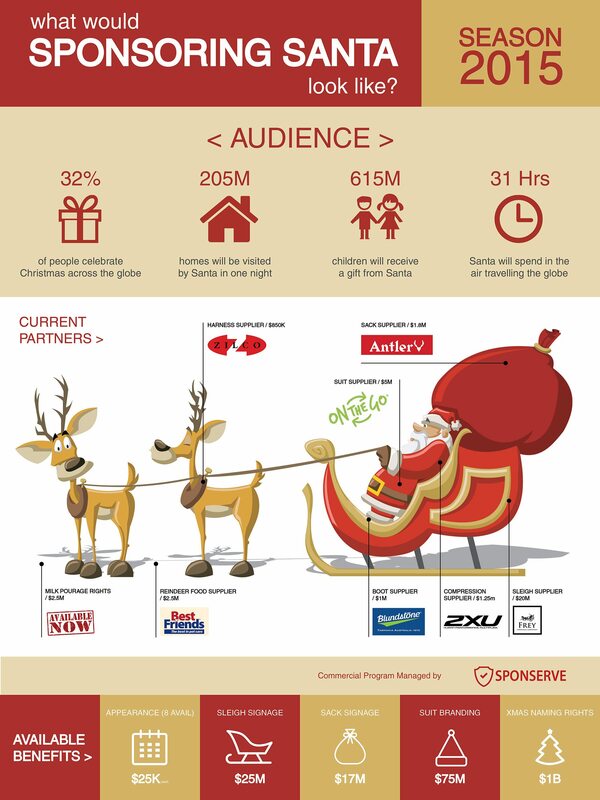 Home » Blog » Blog » What Would Sponsoring Santa Look Like In 2015? Seriously, he’d need a lot of $20 photo shoots to cover what would be some massive expenses! I got a D for maths in Year 10 so my head hurts just thinking about that calculation. Mr Cronin would be shaking his head … again. Big job, limited revenue and huge expenses. That’s why the time has come for Santa to consider sponsorship. So, we’ve put together this infographic looking at what Santa could offer the corporate world. No doubt, like everyone else’s commercial programs, there are some properties and opportunities missed. Got an idea for a benefit of supplier category for 2016? Does Santa need satellite navigation, fuel or maybe some antacid? Let me know and we’ll include it in next year’s version. 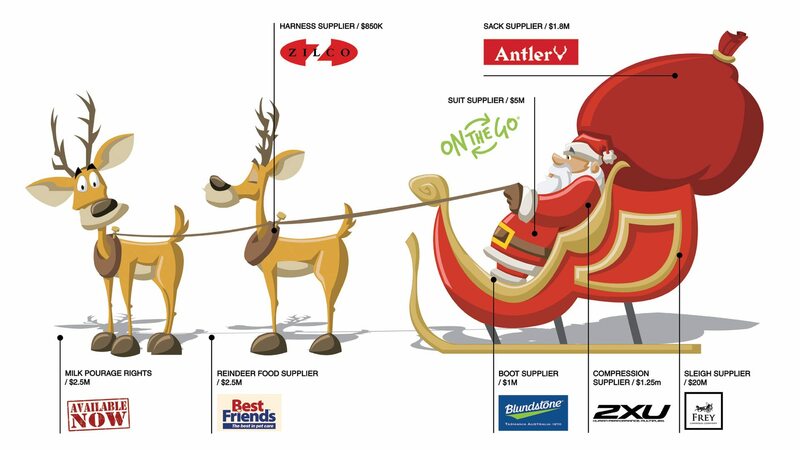 A big thanks to those brands who so easily agreed to let us use their logo in this Christmas fun. Legends!